I know the title sounds like something out of a science fiction movie, but its just an alert about the return of the scam artists that clone your Facebook account. Its rather akin to mosquito season. The first thing to know is that your account has not been hacked. The cloners have simply grabbed anything on your profile page that is public. 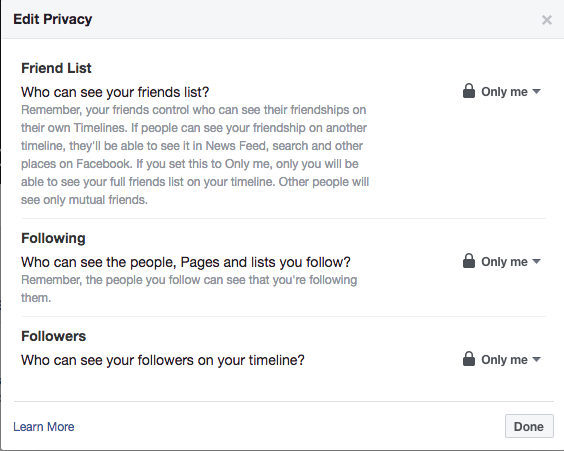 This includes having your friends' list. 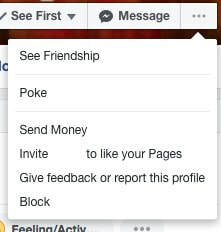 The scammers are counting on a portion of those individuals to automatically accept any friend's request that comes through, or to be too distracted to note that you are already their friend. What is achieved by all of this? This allows the scammers to message their newfound "friends," and do what scammers do best - ask for money. They are counting on at least one or two people to be very openhearted and naive. 1. Never automatically accept a friend request until you have checked to see if you are already friends. 2. If it is a duplicate request then report it as a clone. 3. If your account has been cloned post the fact on your Facebook page periodically over the next couple of weeks. 4. In order to prevent being cloned go in and lock down your friends' list. This is done from your profile page. 5. 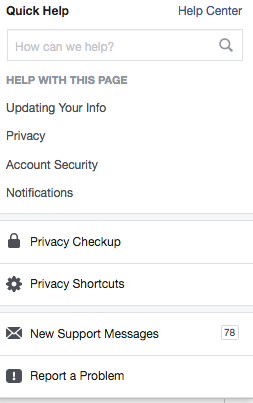 Then go into Settings, and check your "Security and Login" and "Privacy" to see what is available to the public. 6. And it never hurts to occasionally run a security check. Please pass this information along. The more people who lock down their Facebook page the less opportunity the scammers have of creating clones. Its been nearly two years since I have written a blog, or even paid much attention to my own marketing. This is a rather sad admittance from a social media marketer, but as I have often half-kidded, I am like the cobbler with the shoeless children. Its not that I wasn't aware of how poorly it looked to have my business social media sitting unused. Yet, its hard to worry about my own when I am making sure my clients' marketing is taken care of. What made me sit back and realize that I needed to make time for my own marketing, and strengthen my strategy, is that I began getting calls from people. And these people were telling me that they were finding me from Facebook and Google searches. It is time for me to practice what I preach - that now my reputation is laid bare online. And it's not just a problem for me, but for most businesses that don't have an actual marketing department to monitor their online presence. I have had many people say, "I get my clients by word of mouth," or "I'm in good networking groups." There is no arguing that knowing someone, or being referred, gives you a stronger bond with the perspective client. This usually is how I come by my clients. However, this is ignoring those prospective clients who have a problem to solve, and they are searching. So if you don't have a sign on that road they never are going to know you. Or worse yet, get a damaged first impression because you aren't showing off your products or skills well. Now, when people want to learn about about a business, they have powerful research tools in their phone. If say, they wanted a plumber, they choose from the search the ones that look promising, then they take a look at the websites, and they also do a quick search of the review sites, such as Google, Yelp, and Facebook. If they find an active Facebook page they will also spend time seeing what is said, and being said, about the business. I also have had it said to me, "But I Have A Website!" Websites are important as they provide an anchor for your online presence, and they allow for a fuller description of what you do. However, websites are static. Social media gives a greater feel for what the business is like. So if a prospective client is having to decide between comparable businesses they are more than likely to go to one that is vibrant and active. At last I am again practicing what I preach. I am making time in my weekly schedule to use best practices for my business social media. Its definitely time for me to get some shoes on! I first noticed something about some of the Facebook Friends requests when I would see profile pictures that didn't quite match the name. The one that comes to mind is the picture of a grandmotherly looking woman with a guy's name. Or the pictures that didn't match the nationality of the name. Granted these signs don't mean these aren't real people. However, when I clicked on the profiles I noted that usually the profiles only had the profile picture and no biographical information about the people. The other give away is that their "friends" were usually "celebrity" people. Please be careful: some hackers have found something new. They take your profile picture and your name and create a new FB account. Then they ask your friends to add them. Your friends think it is you, so they accept. From that moment on they can say and post whatever they want under your name. Please don't accept a second friendship demand from me, I have only one account. " It turns out that it is called "Facebook Cloning" or "Facebook Pirates." And I must have run into to really inept Cloners/Pirates, since the ones I had seen couldn't match name to face. According to the various articles usually the scammers are somewhat more subtle. One vital point is that thankfully this not hacking of accounts. The scammers are endeavoring to win the trust of your friends in order to move forward with requests for money, or other scams. A few things you can do to protect yourself against being cloned is to choose when you post who can see your photos and posts. This setting will remain until you change it in a another post. The other thing that be done is checking out who you are becoming "Friends" with. Some of the telltale features of a cloned account is the lack of posts, or a lot of redundant posts. Also check out their "Friends" section. Does it only have few? Or does it have a lot of "celebrities?" Of course, if you see a friend request come through of someone you know just double check your own "Friends" section, and see if they are already there. 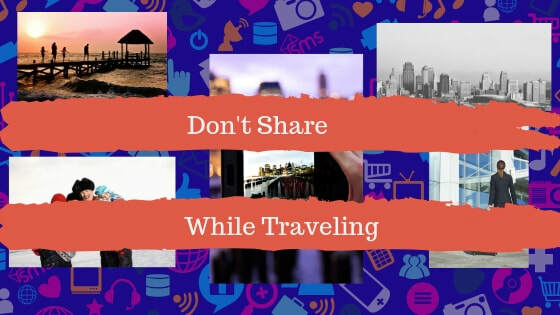 If you are just using Facebook to connect with family and friends then limiting who can see your posts to just "friends," and not accepting strangers' requests, are recommended. However business people need to recognize that Facebook is a good networking tool. If you decide that it is better to be more approachable then researching who sends you a "Friend" request will be worth the time. As will choosing who sees a post on a "post by post" basis. Facebook Pirates Warning alerts social media users that Facebook 'pirates' are copying other users' profiles.